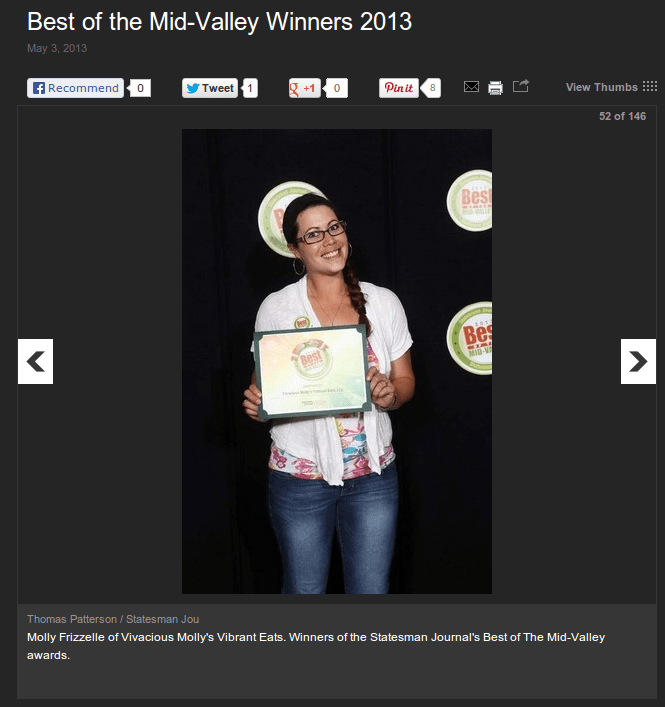 I’m very proud to let my readers know that my little sister Molly won the Statesman Journal Best of the Mid-Valley 2013 award in the Food Cart category for her new business Vivacious Molly’s Vibrant Eats! Way to go! 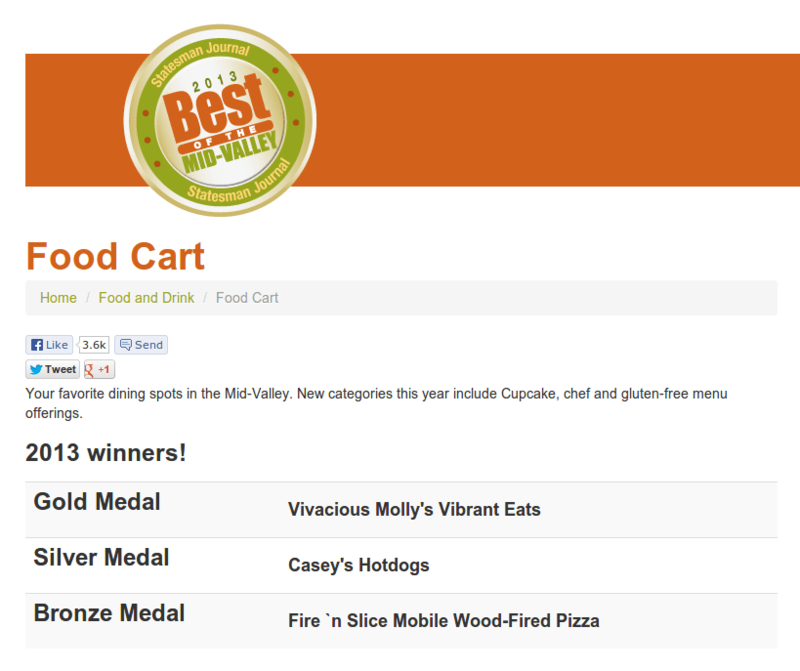 Congrats on being such a great chef and whipping the competition in your very first year in business!